Senior Joshua Seideman at President Taylor's annual tree lighting reception, Dec. 4. Photo by Domenica Cooke-Tassone. Paper lanterns lined the Hello Walk and other sidewalks during the event. Photo by Domenica Cooke-Tassone. 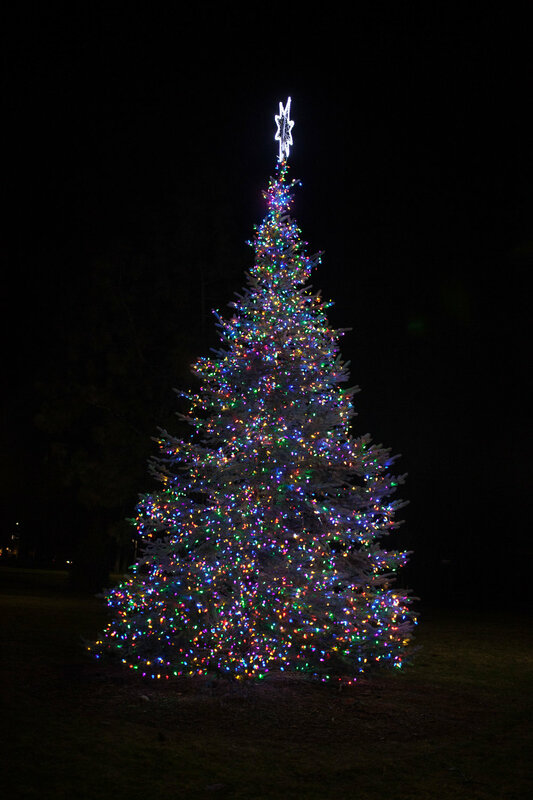 The Christmas tree was lit to signify the beginning of the Christmas season and cheer students up as finals approaches. Photo by Domenica Cooke-Tassone. 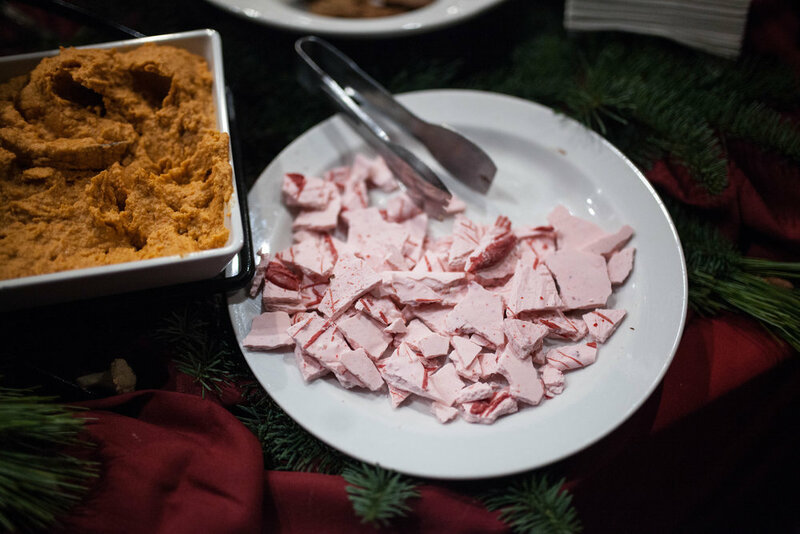 Food and desserts, such as this peppermint bark, was served in the MPR after the tree lighting, Dec. 4. 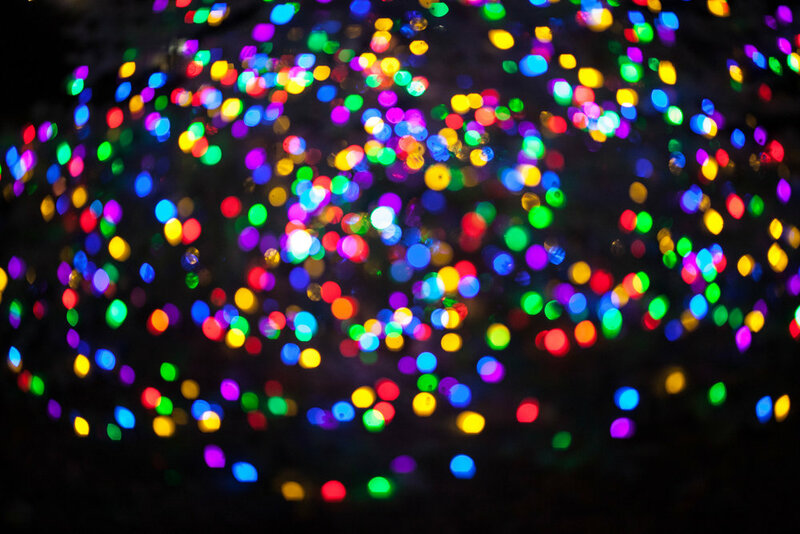 Photo by Domenica Cooke-Tassone.